Please call owner Alex at 617-455-5990. Boat is in Quincy, Massachusetts. 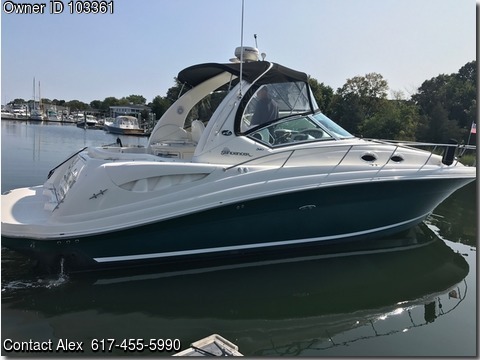 Black canvas top, updated Garmin 942 GPS with auto guidance, 690 hours on Mercruiser 8.1 engines, oil changed every 50 hours with synthetic oil, heat, air conditioning, central vacuum, Kohler gas generator. The boat was stored indoors for 10 winters. We are selling the boat because we bought a larger one.